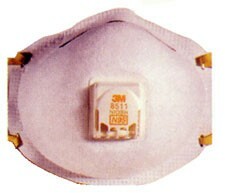 General use particulate respirator mask. Protects the nose mouth and airways against air borne particulates such as virus( Including Bird Flu) in airborne particulates. The mask is being used widely for protection against Avian flu, Bird tuberculosis and SARS. The mask is soft against the face with an adjustable nose clip and straps for a close comfortable fit. 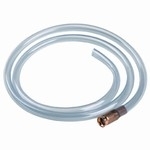 Built-in one way exhalation valve allows easy exhalation and cooler, dry comfort. Filters to N95 Standards.